Scrubbing is the key to healthy glowing skin. 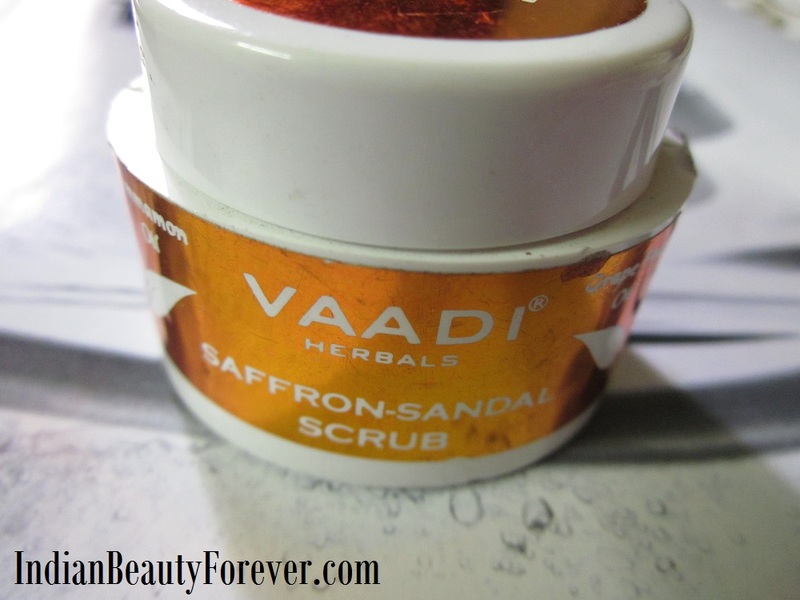 Today, I will review this vaadi herbals saffron sandal scrub. I really love my Joy skin fruits wulnut scrub, it was really good for my whiteheads prone combination skin. When I got this, I thought it will be great to try a new scrub. Let’s see how it performs and the results. 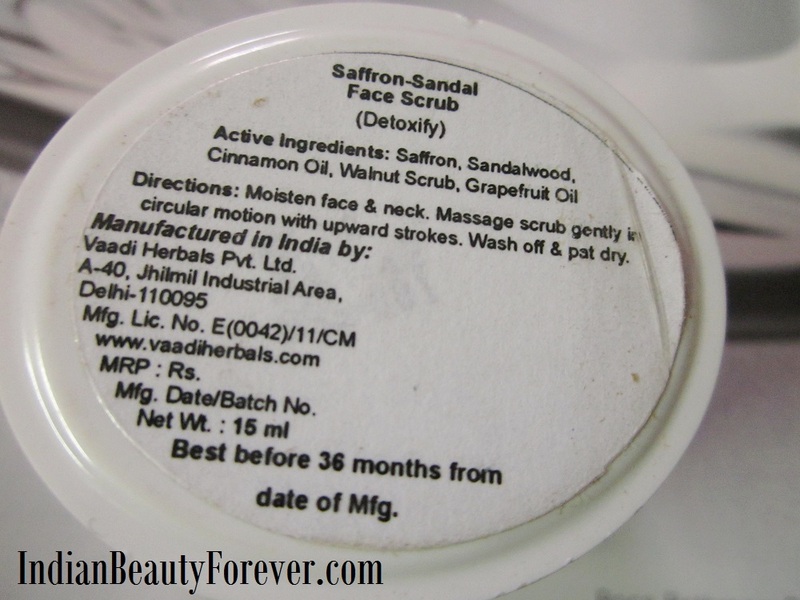 This scrub comes for 60 INR for 15g with a shelf life of 36 months. You may buy vaadi herbals products at most of the online shopping portals like healthkart, goodlife.com etc. Ingredients: Mentioned below. Complete list is missing. 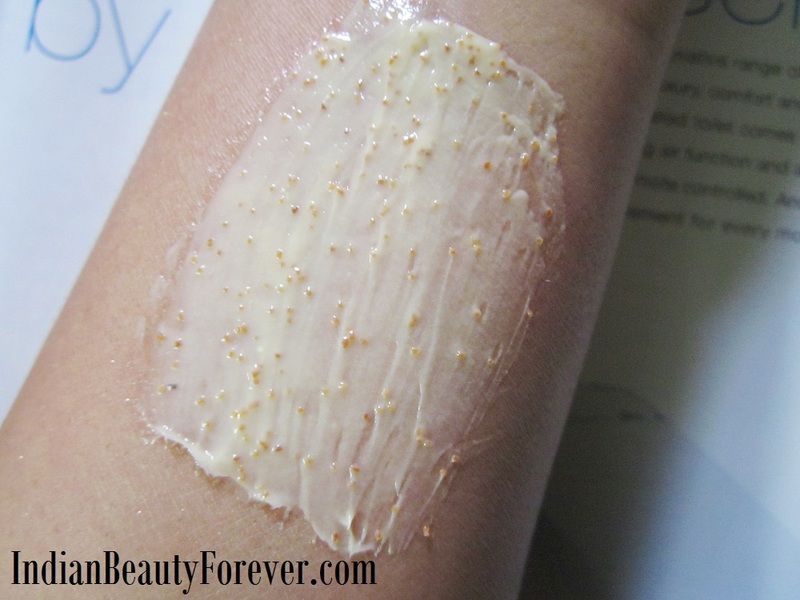 Experience: This scrub comes in a white jar with golden sticker that bears the name of the brand. It says that it has cinnamon oil, sandal, saffron and grapefruit oil. But apart from that they have not mentioned the complete list of ingredients. When I first opened the jar, I was welcomed with a strong perfume like smell which was way too artificial. I have oily/combination skin, so I always stay away from the face products that have strong artificial smell as it may irritate the skin. It’s basically a wulnut scrub suspended in a creamy base but the base looks like as if it contains oil so honestly, I could not used it for my face as I dread whiteheads. No doubt the wulnut particles exfoliate properly because of which they are used in most of the scrubs. I used this Vaadi Herbals Saffron Sandal Scrub for my body and it worked well but this slimy feeling is hard to leave you. 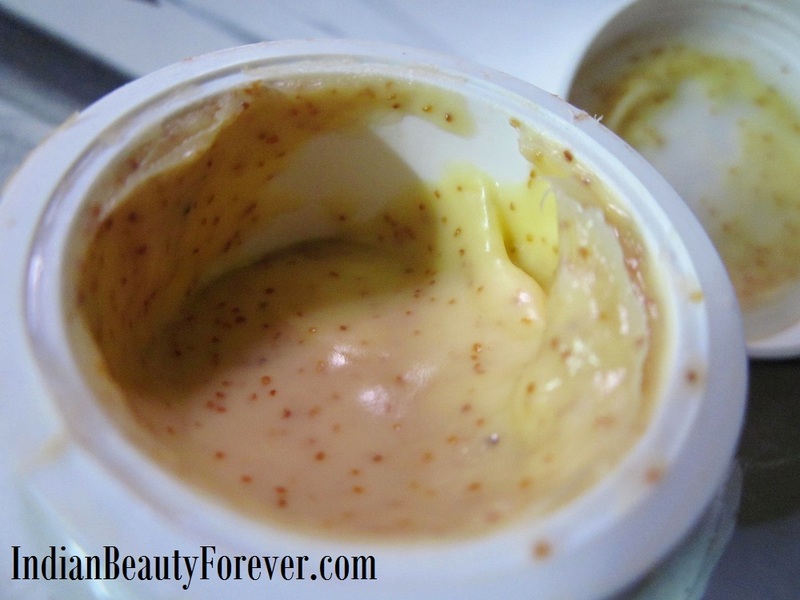 It feels as if you have used an oily cream with walnut shell powder. When I used this I get this feeling that it will block my pores. But that slimy oily feel and strong artificial smell is something due to which I will not recommend it. Moreover, complete lists of ingredients is missing. I like their soaps from vaadi herbals and their sunflower body lotion but not this product. Their other products are decent. It's just this one that wasn't upto the expectations. It is way too oil , no way we can apply it on the face. All the Vaadi products are okeish only na ? Thats right Subha. I like their bath products they are good. very affordable brand...but i cant stand that creamy feel ..esp in this humid weather.. It is affordable but it isn't that great. Though I Wish To Try Their Bath Products! Aww too bad. I only like their bath range. Their soaps are really good. Thanks dear. I couldn't use it over my face due to strong smell. Oiliness is actually a problem with all Vaadi Herbals Cream based products. Any review I have read so far mentions the same. Thats true Gagan and strong artificial smell as well. Oh the smell should at least have been better since their brand name goes 'herbals'. In fact the artificial smell was the first thing why i didn't use it on my face. Nice Review Nish..I won't go for such a creamy scrub in this hot n humid weather! Same here dear, even I wont recommend it for oily skin specially. Well reviewed..Niesha. It's not good for oily skin..it's look something like Everyuth walnut scrub. I read it recently on your blog I suppose. In fact I wanted to try it. Glad you informed. I so wanna try out this brand. Ill skip this as i haye slippery feeling. Try their soaps Meghu. You will love them. I'm sorry it wasn't what you expected! I better stick with the soaps then.